Zambia has decided to withdraw its recognition of SADR, the Sahrawi Republic, self-proclaimed by the Polisario with Algeria’s support. This new withdrawal reduces the number of African countries still giving credit to the ghostly republic, which is recognized neither by the UN nor by any major world power. 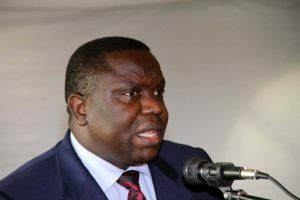 The announcement of Zambia’s decision was made Saturday night in Rabat by Zambian Foreign Minister Harry Kalaba, following a meeting with the Moroccan Junior Foreign Minister, Nacer Bourita. With this new Polisario recognition withdrawal, Morocco has achieved a major breakthrough in the bloc of African English-speaking countries that had recognized the separatist front in the 1970s. Overall, at present only a dozen African countries out of 54 still recognize the Republic self-proclaimed by the Polisario. For Algeria, Zambia’s decision is very unfortunate, all the more so as it comes on the eve of the preparatory meetings of the African Union summit, to be held in Rwanda this July 16 to 18. This should bring water to the mill of francophone African countries supporting Morocco. The decision also comes just a day after the appointment of Algeria’s man, Brahim Ghali, head of the Polisario in replacement of Mohamed Abdelaziz, who passed away on May 31. The choice of Brahim Ghali as the Polisario new leader was not greeted by all the Sahrawis in the Tindouf camps. Rather, he would have to deal with the hostility of some dissident groups such as Khat Achahid and the opposition of the supporters of the Morocco-proposed autonomy plan.